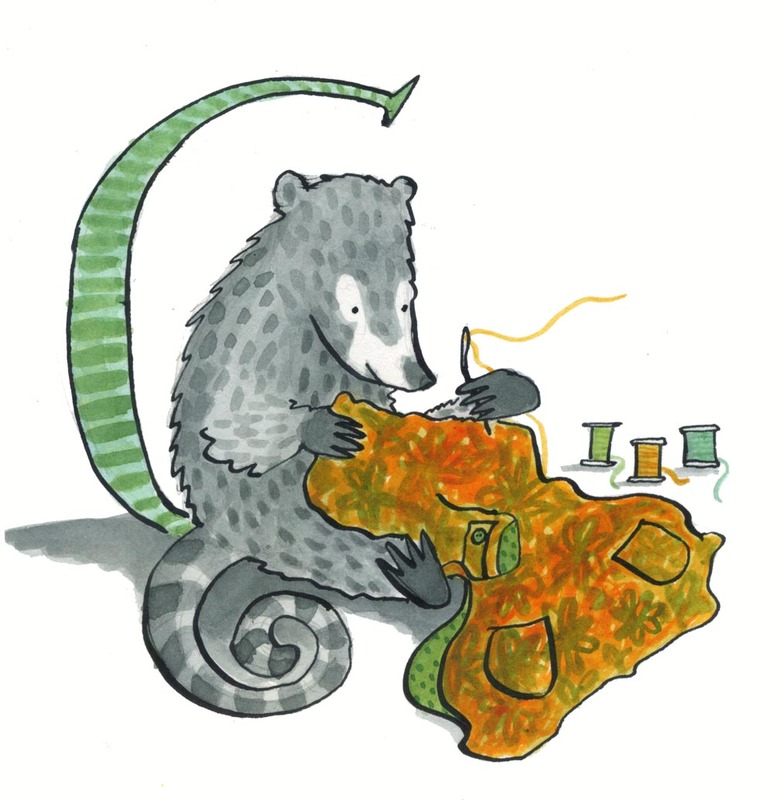 It has recently been revealed in the Working Animals Gazette that most shop-bought coats have been made by bands of nimble-fingered South American coatis. An attempt to interview them about their pay was met with snorts and woofs of laughter from the coatis, who claim that sewing coats is a restful and creative community activity, and that three pieces of fruit and two bird eggs a day was all they required as payment. They also added that their embroidery was much more delicate than that of the foxes from the other side of the forest, and that fox-made coats tended to be a bit whiffy.